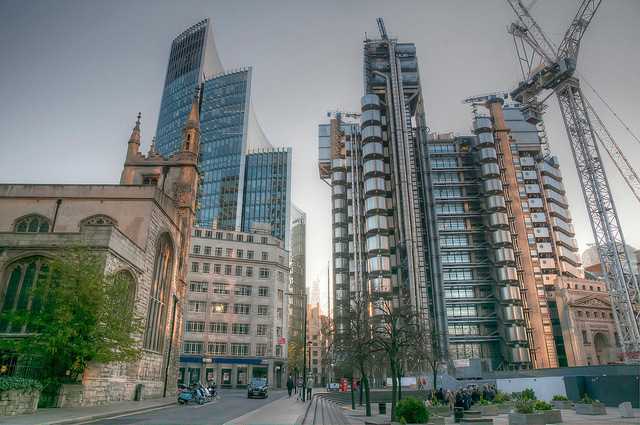 The Lloyd's building on Leadenhall Street in the City, one of the finest examples of High-Tech architecture in the capital, will today be listed as Grade I by heritage minister John Penrose. Designed by Richard Rogers and completed in 1986, Lloyd's proved controversial when it first opened — unsurprisingly, Prince Charles was a staunch critic — yet is now one of the more celebrated buildings in the Square Mile. At 25 years old it is by far the youngest of London's 150 or so Grade I-listed structures. Ironically, the listing gives permanence to a building that was designed to be flexible and adaptable — one of the reasons behind sticking all the services on the exterior was to allow an uncluttered interior space that could be easily reconfigured. It'll be trickier to do as a listed building. If you're not an insurance underwriter, your best chance of having a poke around the building and riding in the distinctive outside elevators (one of our top 10 lifts in London) is on the annual Open House weekend, when Lloyd's welcomes the public. Expect to queue.